The course is 16 weeks long from September 6, 2017 – December 22, 2017** with 15 classes. The final class will be a performance and participation ball for the students’ friends and family on December 22, 2017 at 7 pm. The students will be expected to arrive at 5:30 pm to review the dances before their performance at 7 pm. **NOTE** DUE TO THANKSGIVING AND THE FINAL PERFORMANCE, NO CLASS WILL BE HELD ON NOVEMBER 22, 2017 OR DECEMBER 20, 2017. Course schedule can be found at the end of the syllabus. The class includes two field trips. The first field trip is to Dollinger’s Farm Reenactment on October 7, 2017 at 7420 E Hansel Rd, Channahon, IL, 60410. 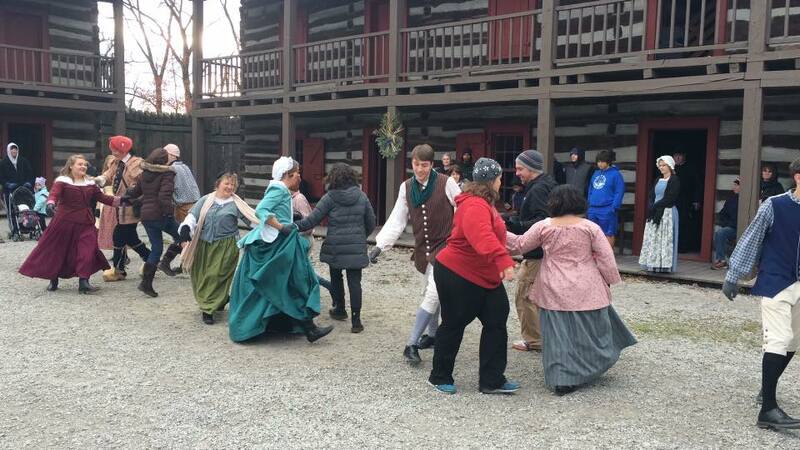 The second field trip is to the Joyeux Noel Reenactment - A French Christmas in the Old Historic Fort Wayne on November 25, 2017 at 1201 Spy Run Ave, Fort Wayne, IN 46805. The students will be required to attend ONE of these two reenactments, and will need to let the instructor know by the 2nd week of class which one they are attending, as the field trips are 25% of their grade. If there are extenuating circumstances, the teacher must be notified ASAP so arrangements can be made. If they go to both reenactments, they will receive one attendance grade credit if the need arises. Please read and fill out both the syllabus and the emergency release forms below.